Long Island Wedding Photography Planting Fields LI. I have been creating wedding photos at Planting Fields Arboretum for more than 30 years and I never tire of this beautiful venue. The perfect backdrop for elegant bridal formals and casual pics alike. Located in Oyster Bay, New York, Planting Fields is a wedding photographer’s paradise. You will love bringing your wedding party and family here for wedding photos. The expansive grounds feature some of the most beautiful specimen trees from around the world. The mansion at Planting Fields, Coe Hall, is one of the most magnificent pieces of architecture on Long Island, NY. Here the bride and groom are pictured off of the portico of the mansion. A sprawling grass lawn is beyond the portico. The property also features a reflecting pond, a cute pink doll house, a rose garden and The Camellia House…an indoor greenhouse alternative for great wedding photos. A small site use fee must be paid for use of these beautiful grounds but it is more than worth the price for the amazing images you will get. I am familiar with every square inch of this stunning venue and know how to get the best out of it regardless of the time of year, the time of day or the day’s weather conditions. 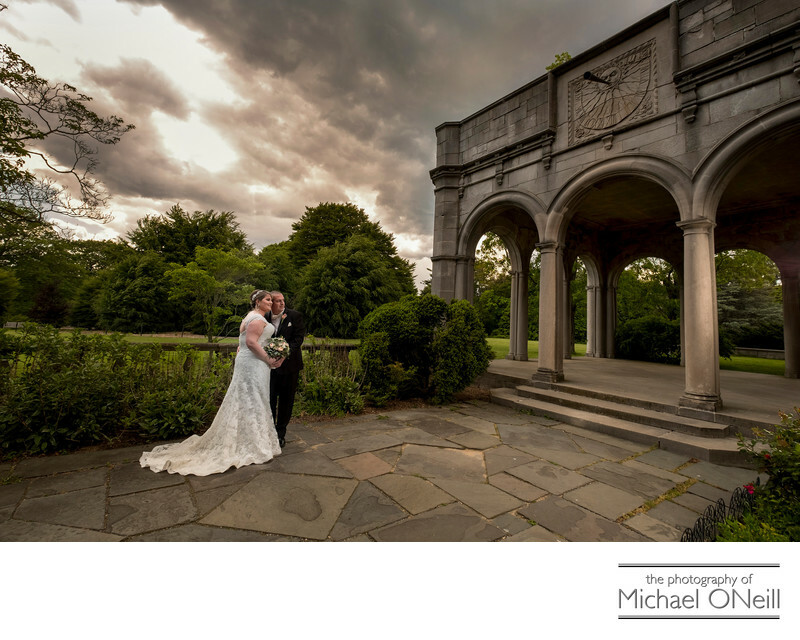 If you are planning a Long Island wedding, and are looking for an awesome place to take your wedding pictures, you owe it to yourself to check out Planting Fields Arboretum.